Commercial refrigeration is a must-have for any working restaurant or café, and our high-quality cake display fridges can store and present eye-catching views of your baked goods, sandwiches, pastries, cakes and light meals for your hungry customers. Our cake displays cabinets and food display fridges provide your restaurant or café with that extra visual appeal, and an area for the proud presentation of your cookery. 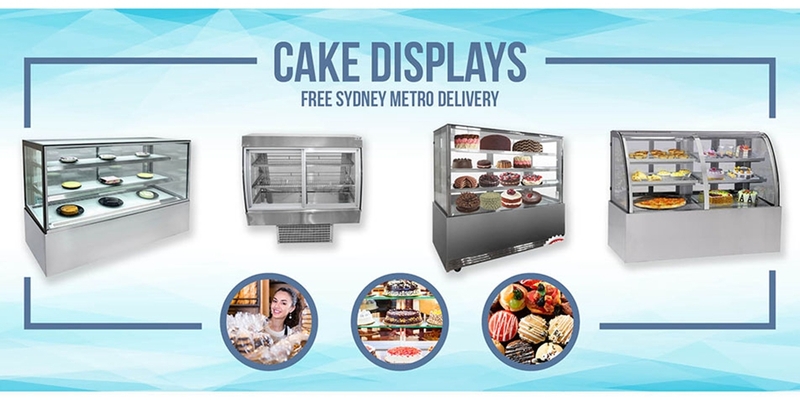 Mainly displayed in the store fronts of cafes, health food stores, butcheries, pizzerias and bakeries, cake fridges and display units are highly versatile and can be used within a variety of establishments. Our display fridges feature a stainless-steel build, glazed glass with great viewing and plentiful storage for stock. Each of our cake display fridges come with practical features and varying sizes, so it is important to know which one is right for your establishment. Glass options for our display fridges include square glass, glass doors, heated and curved glass. Whatever cake display refrigerator or cake fridge you choose you can be assured that Leading Catering Equipment is your best choice for commercial refrigeration equipment.